Situated in the heart of the historical district this home is an idyllic retreat. 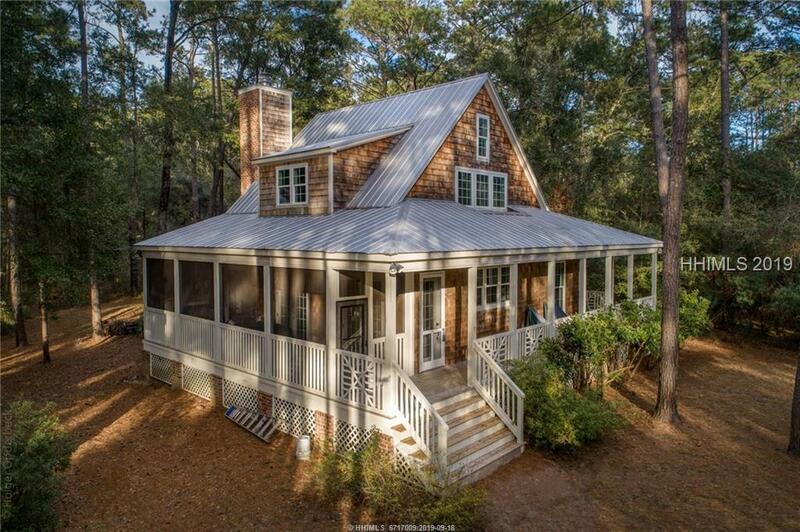 Southern living custom home, nautical plan, 3 bedroom 2 baths, sleeping loft (can sleep 8). From the welcoming front porch to the cozy great room, you will feel at home the minute you step onto the property. The furnished home features beautiful wood floors, open floor plan, Rumford masonry fireplace, stainless appliances, hardwood floors, outdoor shower, multiple porches- some screened. Short golf cart ride to the beautiful Daufuskie beaches, the marina and dining venues. 2 HVAC units. Short or long term rental potential.